The Exit List is a spectacular new ITV1 game show based on an epic challenge in which contestants can win up to £200,000. Presented by Matt Allwright, a pair of contestants descend into a giant 26 room maze. The rooms contains an amount of cash, but one room, deep in the maze, holds the coveted £100,000. The trouble is, the further the contestants go in, the tougher it is to get out – because to escape with the money, they must master The Exit List. In each room, the contestants answer a question with four possible answers. Get the question right, they pocket the cash and only that answer appears on The Exit List. Get it wrong, and all four answer options go on The Exit List. And the immediate way ahead is blocked. When their memories can take no more, the contestants turn back but to escape with the money they must remember their exact route out and every single answer on their Exit List. 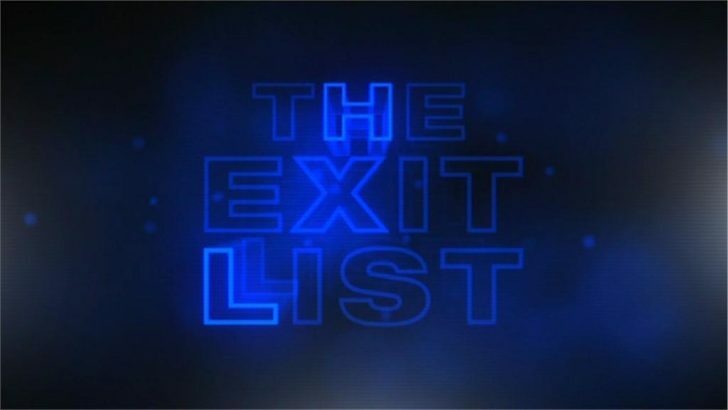 The Exit List runs for six weeks starting on Tuesday 10th January 2012 at 8pm on ITV1 and ITV1 HD.